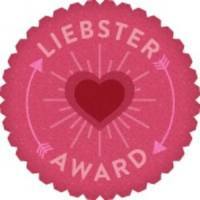 I have been nominated for a Liebster Award for this blog by one of my top fave bloggers: Emma Kaufmann, who blogs under www.mommyhasaheadache.blogspot.com and writes superbly refreshing books about motherhood and relationships. 1. I have a lot of clothes that I don’t wear and they take up a lot of space in my wardrobes, but they are in colour and season and I know exactly where each item is should I ever need to find/wear it. 2. I prefer thrillers and drama movies to chick-flicks. Deliverance and Apocalypse Now are at the top of my fave movie lists. 3. I have to have a bottle of water with me all the time, otherwise I get a bit panicked. Hello psychologist…. 4. I know which picture I would want the newspapers and TV to use if I am ever kidnapped / go missing. 5. I also know what outfit I would like to be wearing if the aforementioned happens (layers – in case I get hot/cold, comfy shoes – for running away, etc). 6. I like to translate things into French in my head. 8. I have kept all my letters from all my friends and ex-boyfriends. They are in my old school trunk, in storage. One day I will make them into a book, so beware…. 9. I still don’t step on the cracks on the pavement. 10. I love getting post. A throw back to the boarding school days, when that was my only communication with the outside world. 11. I love laughing so much that I cry. It’s the best feeling ever. 1. Have you ever Googled yourself and been surprised at what you’ve found? Yes, a lovely review of me in The Seven Year Itch (http://www.theplayhousecompany.org.uk/7year/7%20Year%20Itch%20Review1.pdf) – that’s under my maiden name in 2004. Under my married name, I was surprised to find that I am a nationalist politician in Northern Ireland, which I am obviously not. 2. Who would play you in a movie of your life? I love this question! It’s like being back in the office with the PR girlies, idling away a few hours. I expect Drew Barrymore. We’re about the same age, but she was much cuter than me as a young girl (I looked like a boy until I was 8). 3. Have you ever been naked in public? Yes, I seem to recall I have…. 4. If you could travel in time…where in time would you go? Why? Ooooh, a PR office time-wasting question again! 1968-1972 San Francisco. Flower power, flares and all that lovely nonsense. 5. What was the last film you saw at the cinema? Skyfall, and I thought it made London look rather bloody fantastic. I don’t know the answer to this, as I’ve not found it yet, but I imagine on a beach in the setting sun, owning a bar, writing my novel, my husband playing guitar, my son surfing…….answers on a postcard as to where this destination might be. Grapefruit. I have a slight addiction to it, but it is very messy and this morning’s half ruby squirted in my eyes and made my mascara run, which was a bit of a setback. 8. Who or what has made you believe in yourself as a writer? My teachers at school, and my husband. And feedback that I have had from my blog and bits and bobs. If only I had more time…. 9. What habit or habits do you need to stop? Eating chocolate because I “deserve it”. And writing lists – like this one, though it is rather marvellous fun! 10. Do you have tattoos? Is so what motifs are they? Because I love the sun. I had it done in Glastonbury, at the same time I got my nose pierced. My father was furious about my nose, so I did not show him my tattoo until 6 years later (when I was 27). 11. Have you started Christmas shopping yet? 1. What do you eat that you actually hate? 3. What is under your bed? 4. What book do you wish you had written? 5. What rules did you break that your parents made up for you? 6. Which animal represents you? 7. Is there a place on earth you haven’t been yet, but would love to go to? 8. Impulse buy, or planned shopper? 9. What law would you change? 10. If you had to have any celebrity hairstyle, whose would it be? This entry was posted in Travel and tagged Blog, boarding school, books, breakfast, chocolate, Christmas shopping, Claire McGill, Clarie Bolden, clothes, Emma Kaufmann, Eye of Ra, French, Glastonbury, grapefruit, hocoblogs@@@, laughing, letters, Liebster Award, London, movies, PR< Drew Barrymore, Seven Year Itch, Skyfall, tattoos, TV, wine, writer. Bookmark the permalink. Nothing. Really. I like to eat, and there is no reason to eat what you don’t like. And, not being 12 years old anymore, I can say, No thanks! If I have to answer that food would be green beans. Dinner, haven’t missed many meals. A Dolphin, smart, likes the water and laughs at the tourists. The 65 mph speed limit in New Jersey, make it 75! ooh I love your Eye of Ra. If I had to get a tattoo I’d definitely go that route rather than the celtic knot. Re always having to have a bottle of water to hand, I am the exact same – glad to know I am not the only neurotic with this problem!! Thanks for sharing stufff about yourself! Wow, never knew you were an actress.